is the first day of the rest of your life! I was born and grew up in Sydney and I am a firm believer in Love & Fate. 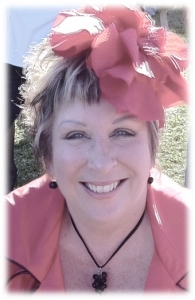 I went on a holiday to Hayman Island in the Whitsundays in Queensland and met my husband and eventually got married and moved to beautiful Mackay where we set up home. I am a mother to one beautiful son – he is a wonderful human being – there are no words to describe how much I love him. I work for a local builder and as a Wedding Celebrant. I like to keep fit with Yoga, Pilates and gym work and photography is a passion of mine, as are my dogs who love going to the beach with me. I love talking and laughing, meeting people and having a good time and I will always look on the bright side as I have one of those ‘never-give-up’ attitudes. I know what it’s like to be madly in love, to be consumed by that special person and wanting to spend the rest of your life with them. It’s a magic feeling….and that’s how I want you to feel on your wedding day with the person you love…. with me as your Celebrant! I am here to help you create your personal ceremony, with all the help I can give you through phone calls, emails and meetings. As your Wedding Celebrant, I am passionate about creating the ceremony that YOU want, that fits who YOU are, and share with you this amazing memory of your commitment. As your celebrant you have my assurance and guarantee that you will receive a high standard of professional, sincere and friendly service at all times. 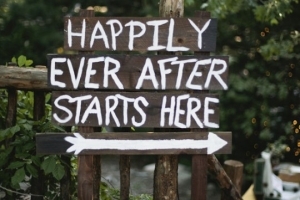 After all, this is YOUR dream, YOUR wedding and my goal is to create for you a truly unique, beautiful and heartfelt ceremony that is as unique as your relationship. I simply have a passion for life. That’s why I love being a Marriage Celebrant! To the world you are only one person, but to one person you are the world. What does a Civil Marriage Celebrant do? A civil marriage ceremony allows you complete freedom of choice to create a wedding ceremony that reflects YOUR feelings, beliefs and personality. It is YOUR wedding ceremony and YOU are the focus of the day. I see my role not just as your celebrant on the day, but taking the journey with you from our very first meeting and working with your ideas in bringing your ‘love story’ to life in a personalised romantic and heartfelt ceremony, that will leave everlasting memories for you and your loved ones. As a Civil Marriage Celebrant, I offer you various wedding ceremonies from simple to formal. I can provide you with sample ceremonies for you to select or modify to your own taste, or I can guide you in the writing of your own. The most important thing is that you feel relaxed and happy, and confident that I will carry out your wishes. The content of the wedding service is up to you, every ceremony is unique. Family and friends are welcome to participate in the ceremony, and you can include any poems, rituals, readings, music, or cultural symbols if you wish. I will take care of all your legal paperwork and I can also advise you on other aspects of your wedding day, i.e. wedding venues, cakes, flowers, photography etc…..
What are the Australian legal obligations? Contact me to on mobile 0408 552 573 or via email at julia@weddingsbyjulia.com.au or use the contact form on my contact page to make an appointment no earlier than 18 months before the wedding and no less than one calendar month and one day prior to the day you wish to get married. If you feel comfortable and happy with me as your Celebrant, then a deposit will be taken to lock in your wedding day date.